In a tense firefight, the smallest amount of lag can decide the winner. The Logitech G305 Lightspeed Wireless Optical Gaming Mouse has incredible responsiveness, so you won't be able to blame your deaths on lag anymore. Accurate clicking is the backbone of PC gaming. The Logitech HERO Optical sensor packs a sensitivity of 12,000 DPI, so the reticule moves to exactly where you want it. 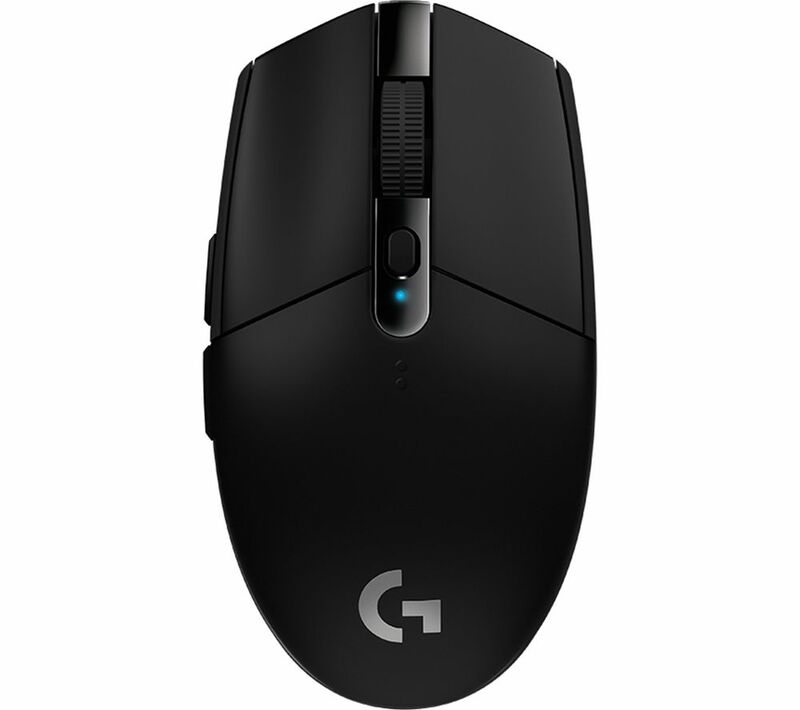 With the Logitech G305 Lightspeed you get 250 hours of continuous play with one battery. If you're more into turn-based affairs and don't need ultra-high responsiveness, you can switch to Endurance mode and extend the battery life out to nine months. Wireless doesn't mean heavy anymore. A lightweight mouse offers greater manoeuvrability, so the Logitech G305 comes in at under 100 grams. If an enemy gets the drop on you, you'll be able to spin around before they pull the trigger. With the reduced weight, the G305 is kept small, and has a storage compartment for the USB receiver. This makes it more than just a great desktop mouse – you can throw it in a bag with your gaming laptop and play anywhere. For the price good all round and gaming.